Imagine keeping a record of every book you’ve ever read. 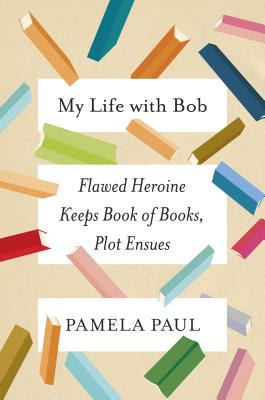 Pamela Paul, author and editor at The New York Times Book Review, has done so, and this book is named Bob (short for “Book of Books”): a journal that records her reading from Sweet Valley High to Anna Karenina. My Life With Bob is a journey in reading that reflects her inner life and the deep and powerful relationship between book and reader. The Economist calls Paul, “reflective, open, and at times achingly funny. My Life with Bob is the book that she was put on this Earth to write.” Paul is joined in conversation by Emma Straub, New York Times bestselling author of Modern Lovers and The Vacationers, among others, and co-owner of the brand-new Brooklyn independent bookstore Books Are Magic.